The recent barrage of reports alleging that the Syrian Arab Army is committing "atrocities" against the liberated people of Aleppo stems from unsubstantiated Twitter accounts and melodramatic YouTube videos. 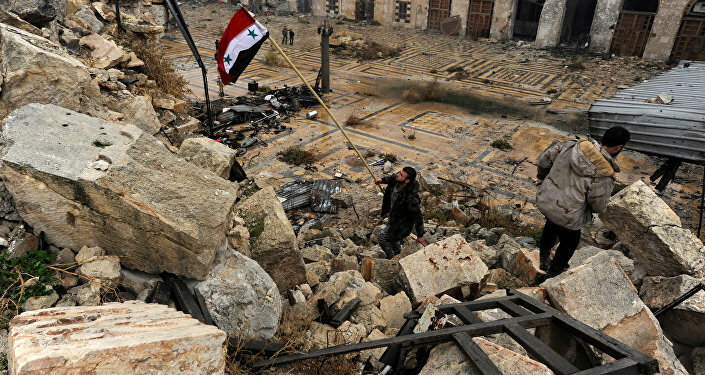 The glorious liberation of Aleppo by the victorious Syrian Arab Army (SAA) has finally arrived, yet the Mainstream Media is predictably doing its utmost to cast a dark pallor over this celebratory event. Instead of rejoicing that the terrorists have been expelled and that the largest hostage crisis in history is now over, they've gone into overdrive alleging that the SAA is committing all sorts of "atrocities" against the city's inhabitants, using nothing more than the 140 characters of a Tweet or a brief YouTube monologue as "evidence" that this is occurring. 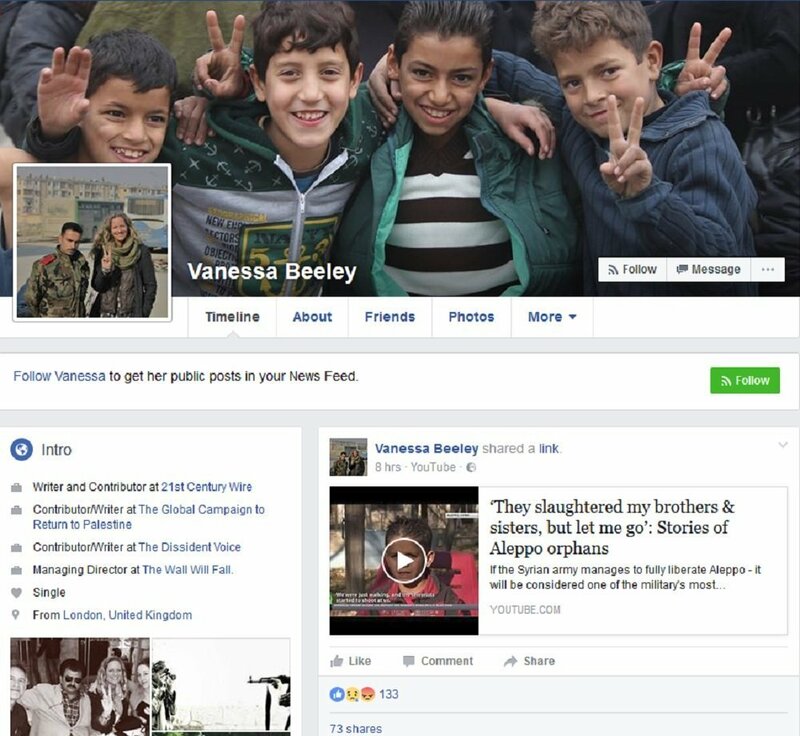 Independent journalist Vanessa Beeley is on the ground in Aleppo documenting everything that's going on, including the large-scale humanitarian operation aimed at helping the tens of thousands of refugees that escaped terrorist rule in East Aleppo, yet her photographic evidence and personal accounts are completely ignored by the Mainstream Media in favor of shadowy figures such as Bilal Abdul Kareem. ​This man, like Ms. Beeley, is also in Aleppo, but the primary difference is that while she's an objective observer documenting the reality of what life was like for the thousands of hostages which barely survived the prolonged terrorist occupation, he's one of the perpetrators who facilitated this nightmare by actively spinning the Orwellian narrative that the "rebellious locals" are under "deadly oppression" by the SAA. It doesn't matter that many of the "rebels" such as Kareem himself aren't even Syrian or that they haven't produced any evidence to back up their claims, but he and many others like him are just the latest social media personalities attempting to pick up the smashed fragments of the "White Helmet's" discredited legacy and peddle them for personal and propagandistic gain. Kareem, who is an American citizen by birth, presents himself as an "independent journalist", but his "independence" only goes as far as parroting the "moderate opposition's" totally unverified claims that retributive atrocities are taking place all over the city. The truth, however, is actually the reverse, since it was the terrorists — these "cute and cuddly" "moderate opposition" head choppers and cannibals whom Kareem glorifies — who wantonly killed civilians in their zone of control if they attempted to escape or spoke out against their occupiers. Nevertheless, the Mainstream Media has been all too happy to pick up on Kareem's lies by pretending that they're an "exclusive scoop" by an "Aleppo insider" and "independent journalist", thereby giving fifteen minutes of fame to this hitherto largely unknown social media personality and infamously contributing to the epidemic of fake news — which originally started with Mainstream Media and is still monopolized by it. ​On the other hand, the photographic evidence and interview accounts which characterize Ms. Beeley's reporting are ignored by the Mainstream Media, thereby demonstrating an undeniable editorial bias for legitimately fake news being passed off as the real thing. It's easy to see how and why the Mainstream Media does this. The echo chamber that they've expertly crafted over the decades works by concocting politically convenient narratives in advance and then selecting or outright fabricating "stories" and "evidence" which "confirm" this, all the while silencing and censoring those which oppose it. Once the selected media item, tweet, or fake "White Helmets" video (sometimes all one in the same) is promoted by a Mainstream Media organization of popular repute (or better yet, advocated by a "think tank"), it takes on an entirely new life of its own with copy-cat publications citing and republishing it until it becomes ubiquitous and taken for granted as the "official" "politically correct" discourse. ​It's relevant to cite the popular adage that a lie becomes the truth if it's repeated enough times. In practice and using the example of Kareem, his sob story about fearing for his life amidst supposed widespread atrocities committed by the SAA was repackaged by the Mainstream Media not as a rambling and incoherent series of Tweets or a melodramatic YouTube video by a pro-terrorist hack, but as the objective reporting of a brave rebel soul who's risking his life to tell the world the truth about what's happening in Aleppo. Conversely, the real brave soul risking her life to tell the world the truth, Ms. Beeley, is completely censored and all efforts are made to prevent her reporting from breaking through the Mainstream Media's firewall. The only way to describe such blatant double standards is by calling a spade a spade and exposing the Mainstream Media's willing complicity in waging an intense psy-op on the minds of their audience, one which as luck would have it also happens to perfectly align with the fake narratives being advanced by the same national governments and terrorist groups which have executed the War of Terror on Syria for approximately the past six years now. 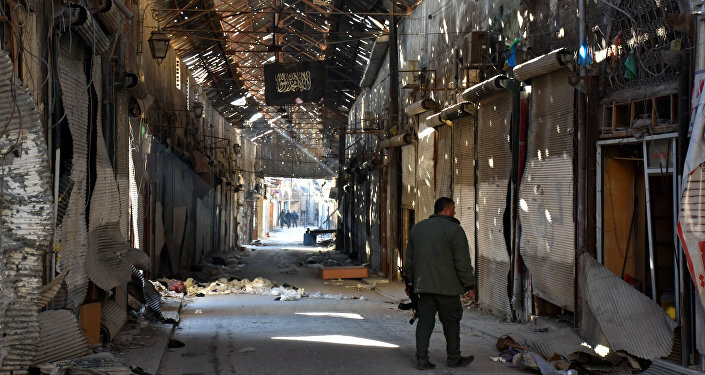 Thankfully, what had once been Syria's largest pre-war city has finally been liberated, and the Mainstream Media can no longer endlessly recycle the debunked cliches about "the last" doctor, clown, "rebel", or whatever the else they think of focusing on in Aleppo in order to promote their narrative of "SAA atrocities", as a deal was just reached to send the last terrorists there on a bus to Idlib as part of the city's liberation. The terrorists' bus evacuation from Aleppo will thus go down in history to be as unforgettable of an image as the American helicopter evacuation from Saigon, and for the exact same reasons — evil has been expelled and freedom has finally returned to those occupied cities, but the Western audience might not even realize yet that this is what's happened in Syria so long as their Mainstream Media keeps feeding them fake news from Kareem and his "caliphate" buddies' tweets and YouTube videos.